It’s not just the clothing that is becoming more liberated as we rejoin Cora at the beginning of the new series. It’s the attitudes as well. What was it like having a screen legend like Shirley MacLaine on the Downton Abbey set? She says that only once in her career has she has seen a comparable reaction. And it’s the kind of response an actor always hopes for. She says that fans like Cora for her steadfastness. 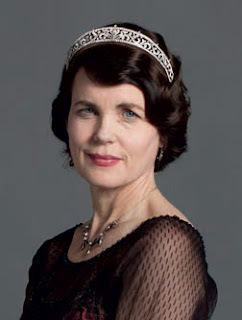 McGovern arrived to Highclere Castle in February to begin filming again, and she says that returning to the house that the nation knows as Downton Abbey brought with it a sense of calm. And she says that the pace of life in the early 20s is something she could get used to, too.